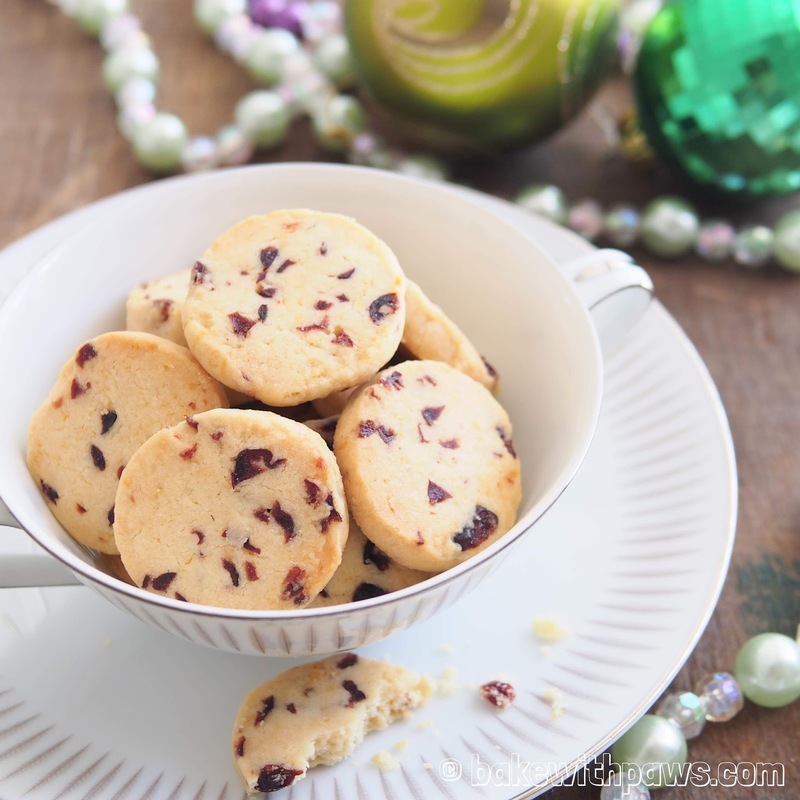 Christmas is the time for goodies and this shortbread is perfect for the family to enjoy. The butter and lemon combination gives a lovey aroma. Sift flour and stir in salt. Keep aside. 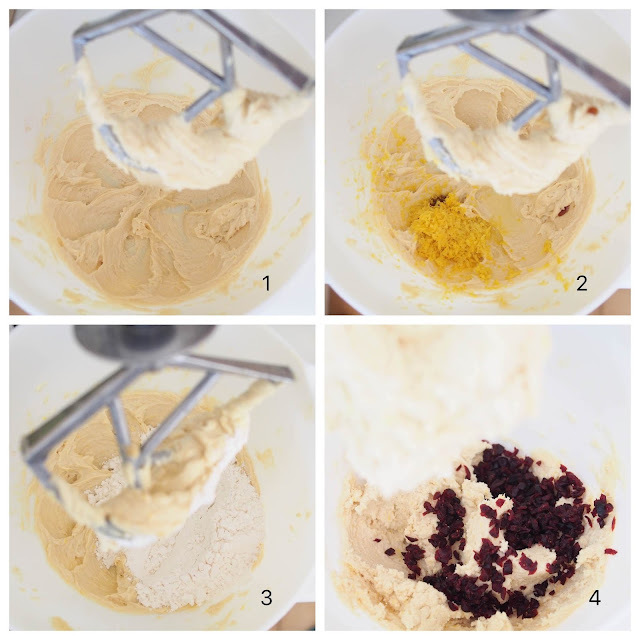 In a bowl of electric mixer, beat butter and sugar till creamy at medium speed. Add in vanilla extract, lemon zest and juice and beat till well combine. Gradually add in the flour mixture with very low speed until combine. Fold in the cranberries. Divide dough into 2 portions and form into 2 logs, about 1.5 inches in diameter. Wrap with cling film and refrigerate until firm about 2 to 3 hours or use the next day. I left the logs onto the baguette baking tray so that it will hold the shape. 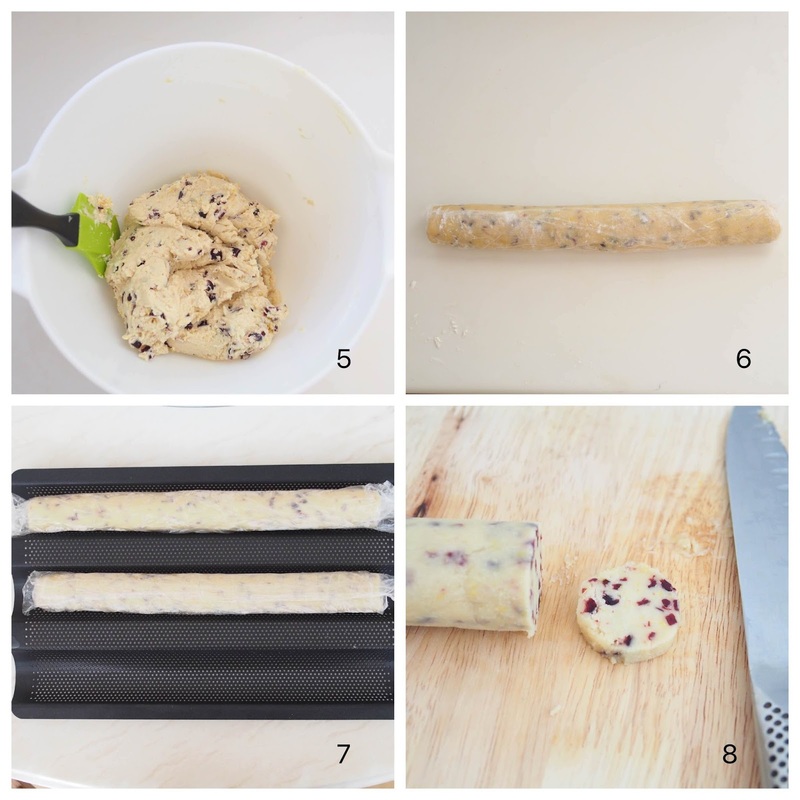 Remove from fridge and unwrap, slice the dough into ¼ inch thick. Place the biscuit on the prepared baking tray. Let the cookies cool on baking tray for 5 minutes before transferring to a wire rack to cool completely. Store in airtight container. Hi hi! I have run out of plain flour, is it possible to substitute with cake flour? Thank you for dropping by. I am so sorry for late response as I have overlooked all my comments. Yes, you may use cake flour too. May i knw wht type or brand of the brown sugar u r using for this recipe? I used Gula Prai Soft Brown Sugar. For the salt, can we just use normal salt? And for butter, is it unsalted or salted butter?? Thanks! So sorry for late response. Yes, normal salt is fine. I used salted butter in this recipe. haven't baked these yet....they look good....are those dried cranberries...do you rehydrate them (like raisins) before using them in the batter? I am so sorry for late response. Yes, those are dried cranberries. I didn't rehydrate them. I Just slightly chop that's all. Hi, no egg is required for this recipe? Thank you for dropping by. Yes, no egg is required for this.